That’s how much daycare costs at the center our son will attend when he turns 4. And that was the cheapest center we could find. 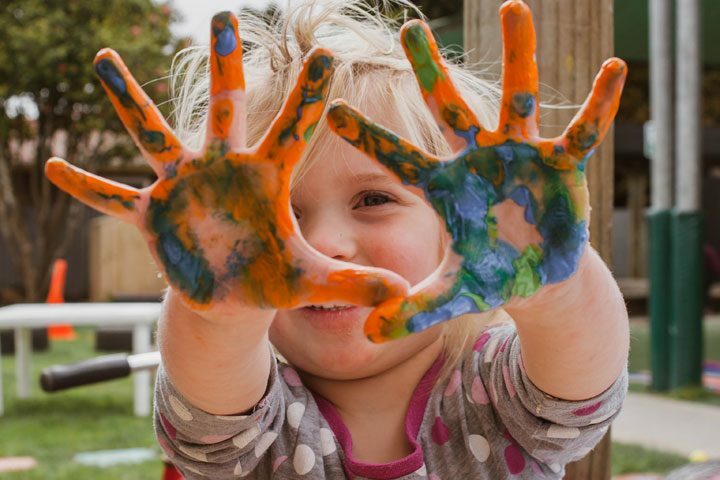 It may seem like affordable daycare doesn’t exist, but by using these tips to lower your childcare expenses and opting for daycare alternatives, you can make sure you get the most out of your childcare budget. How can I save on childcare costs? How much does daycare cost for newborns? What are considered cheap daycare prices? Is a nanny cheaper than daycare? Childcare options for working parents? How do you avoid daycare? Business Broker paints a pretty depressing picture of how much parents are paying for childcare through some, ironically, brightly colored maps and charts. They show average prices by state, which range from $600 to almost $2500 a month, which can be up to 25% of the average family’s income. And get this: in only 4 states (California, Hawaii, Louisiana, and South Carolina) is the cost of daycare LESS THAN the cost of rent for a typical 2-bedroom apartment in that respective state. For the norm to be that childcare exceeds housing costs seems pretty crazy. Since childcare prices are hard to fix, your next best option is to consider alternative solutions and adopt some money-saving tips so you aren’t spending so much to have someone watch over your little one. It’s worth checking out possible daycares from each of these categories, just so you can choose what will work best for both your child and your budget. Nanny A nanny comes to your home directly to care for your child and might be willing to help with housekeeping too. While you’ll probably get charged a higher price than from a daycare center, you could save on other costs, including commute-related expenses and time. Babysitter A babysitter is less involved than a nanny. You might use them as all-day babysitters or for shorter stints of time, such as when you and your partner are out running errands or having a date night. Au pair An au pair is like a live-in nanny, who resides with a host family as part of an international exchange program. They can become quite involved in the family and are often cheaper than nannies since they get room and board in exchange for watching children and doing housework. Call on the help of close ones to watch your children if they are available and willing to do so. Papa Chang and I are lucky that both sets of parents are more than happy to watch after their grandchild for the grand total of zero dollars. Another option is to team up with other parents to do a babysitting exchange, which is similar in concept to a rotating carpool. Instead of paying an outside sitter to watch your children, participating families take turns watching over the collective group of children. Stay at home Staying at home part-time or full-time can help drastically offset childcare costs, especially if you have multiple young ones. Regardless of the childcare method you choose, there are ways to keep the cost down as much as you can. Let’s delve into each category. Doing your homework before you actually start needing childcare will go a long way in helping you save money on it. These first two tips will show you what to consider first. Tip 1. Start researching early. Give yourself more time to look into multiple options, so that you can make the best choices for your family. Tip 2. Have a budget. Figuring out how much you can put towards childcare costs will also influence how much you have to spend for other baby-related expenses, such as basic baby necessities. If you discover that you can’t afford to have full-time care 5 days a week, you’ll need to make arrangements that fit your allotted budget. Thinking ahead about these things early on gives you time to implement the rest of the tips, rather than scrambling to figure things out after baby’s arrival, when you’re much busier. Tip 3. Decide how long you want to wait between having kids. If you’re reading this before you’ve gotten pregnant, consider how the time spacing between kids will affect your childcare budget. Depending on your choice of childcare and personal circumstances, it might help to have your kids closer together (some schools offer sibling discounts) or further apart (so you’re only paying a single tuition at a time). Obviously, the less childcare you need, the cheaper it will cost you. Here are a couple of timing-related tips that reduce the total amount of paid childcare you’ll need. Tip 4. Plan your maternity and paternity leaves. Instead of taking leave simultaneously, consider if spreading out you and your partner’s leaves would work better. You could take your leave first, then switch with your partner and go back to work while they have some time off to care for your new child. The Family Medical Leave Act, also known as FMLA, is a federal law that ensures job security to those who take off work to deal with family medical emergencies. Some states also have their own version of this act at the local level too. Check with your employer on how you might be able to utilize this type of leave. Tip 5. Enroll your kids into daycare when they are older. Many centers have tiered pricing, where newborns will incur the highest cost and then the price gets cheaper as the child gets older. Tip 6. Shift your schedule. Another option is to stagger work schedules with your partner so there’s at least one parent home for most of the day. If you can pull that off, you might not need to have paid daycare, or you’ll only need to pay for a few hours a day rather than a full day’s rate. Tip 7. Stay at home. Whether you choose to focus solely on parenting, or decide to work from home while keeping an eye on your kids, finding ways to spend more time at home means less time that you have to pay someone else to do it. If you are a working parent, ask your employer what options you have to work remotely. Even just an hour or two each day can noticeably reduce your costs for childcare. Staying at home doesn’t have to mean staying out of work. Consider working part time, working from home, or picking up a side hustle to keep some income flowing in. There are many options for childcare, all with different pros, cons, and pricing. Keep these next tips in mind when you’re selecting your provider. Tip 8. Consider smaller daycare options. Most people are only familiar with big-name daycare centers, but there are many smaller daycares run out of private homes, churches, or even nonprofit groups like the YMCA or Boys and Girls Club. You will often find lower prices at these smaller, more intimate operations. With home-run centers, you may want to try to see if you negotiate for even lower rates, by offering to do things like providing your own meals and snacks, dropping off the kid later or picking up earlier, etc. Tip 9. Be open to the younger crowd. If you just need someone to mainly supervise your kid for a few hours a day, hiring high schoolers can generally meet your needs at a lower price point. You might also want to consider college students. Those who are training in a childcare-related program might offer a better rate since they are still working towards their degree or certification. If you’re concerned with the quality of care from a high school student, try to find someone you know you can trust, like your neighbor’s kid or a family friend. Tip 10. Negotiate with the nanny. Provide room and board for a lower rate. A live-in nanny can also provide care during odd hours if needed. Or, consider an au pair, someone abroad on an international exchange that lives with a host family. They are generally cheaper than nannies. You can also ask for the nanny to take on additional tasks around the house, like light housekeeping or getting dinner started so you get more for what you pay them. Got a group of kids who live in close proximity, like in the same apartment complex, that all need to be looked after? Consider sharing a nanny. Coordinate whose home will be the dropoff point for the day. You can either stick to a single place or rotate between the different homes. The nanny might charge a bit more to look after multiple children and go between the different locations, but splitting the cost will still get you ahead. Try to find families whose house rules are similar. It’s hard on the nanny if one parent allows their kid to watch TV while another has a no-screen rule. Tip 11. Talk to your employer’s human resources representative. In addition to flexible work arrangements, you should ask your human resources person about other employee benefits related to childcare. For example, my husband learned that his workplace has a partnership with a nearby daycare center to give employees priority for available spots. Tip 12. Use a flex spending account. Another thing to check with your employer on is whether they offer flexible spending accounts (FSA). These accounts allow you to put away part of your paycheck with pre-tax dollars to pay for qualified expenses like childcare. You’ll need to designate how much you want to set aside for your FSA at the start of the annual period, but you’ll lose whatever you don’t spend. As such, it’s crucial to budget carefully so you don’t earmark too much money for the account. Tip 13. Take advantage of tax credits. Uncle Sam may give you a break with childcare-related tax credits, so remember to double check and see if you qualify for any of them come tax season. Although it doesn’t necessarily reduce your childcare expenses, at least you can shave off part of your tax bill. Tip 14. Ask friends and family for help. Close friends and family who are willing to watch your child are amazing resources, not only because it saves you a bundle financially, but also because it’s easier to trust your kids with people you’re familiar with as opposed to strangers. Even if you can’t find someone who can watch your child for the entire day, they still might be able to help you save if your babysitter or daycare gives you get a price break for early pick up. Or perhaps they can help you run other errands like making a grocery run or picking up your older children from school while you watch the younger ones. Tip 15. Look into low-income assistance programs. If you qualify for government benefits, you might be able to get free or low-cost childcare too. Check with your local government services as well as non-profits, churches, and other organizations to see what help they can offer. Tip 16. Mix and match your childcare options. Don’t feel like you have to commit to only one childcare option. Let’s say you’d prefer a full-time nanny, but it just isn’t within your budget. Perhaps you can have one over on just Mondays and Fridays when things are super hectic, but reserve Tuesdays and Thursdays for a home-based daycare and then work from home on Wednesdays. Or whatever variation that works for you. The cost of daycare isn’t limited to just the monthly rates, unfortunately. Here are other considerations you have to keep in mind too. Monthly rates will generally be cheaper than daily rates, but you might want to consider daily rates during any months that you could stay home to watch your kid instead or if you’re planning a family vacation and won’t need daycare for the entire month. 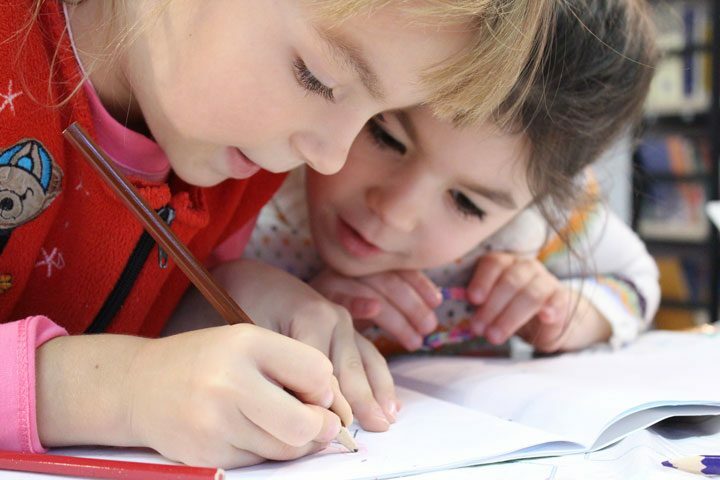 Double check with your childcare provider what your options are for these rare occurrences, as some centers might still require you to pay for the full month anyway to hold your child’s spot. One way to recoup the lost opportunity cost is to start your own business from home. Establishing a blog or other side hustle is a potential way to make money while watching over your kids. Some daycares are closed during holiday breaks or over the summer. Look into options for those time periods before they roll around so you’re not stuck scrambling when the time comes. Generally speaking, newborns will be the most expensive to put in daycare due to the level of care they need. 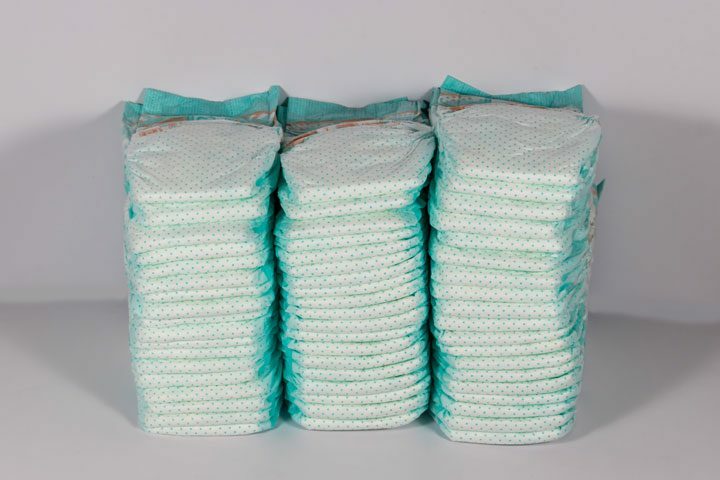 As your child gets older, you can expect to see a reduction in the monthly cost since the childcare provider’s operating expenses will decrease when your children gain more capabilities (like being able to go to the toilet on their own versus a young infant requiring diaper changes). The simpler the level of care, the more likely you can find a cheap daycare price that fits within your budget. Someone who is merely watching your kid versus someone is following a teaching curriculum of some sort and providing meals and snacks will charge differently. 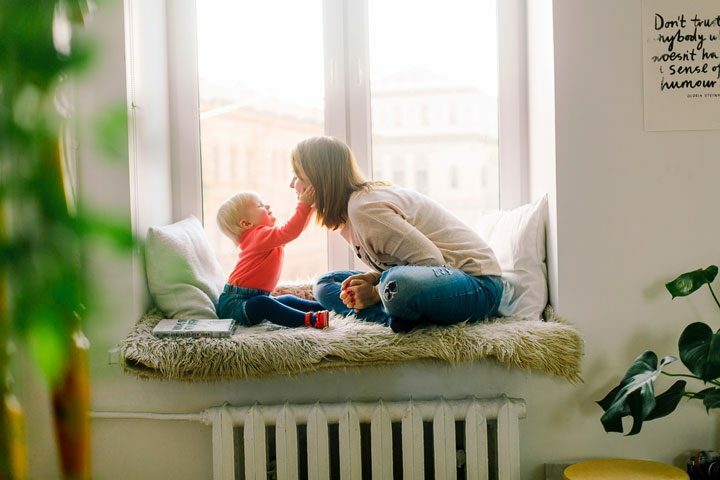 Nannies often provide care that is more tailored to your family, such as coming to your home, watching just your kids as opposed to children from multiple families, and even possibly helping out with other chores like preparing dinner. As such, a nanny will likely be pricier than daycare. However, it’s always a good idea to do research in your area, or find ways to lower the costs of the nanny if you prefer this type of care over center-based care. If you’re wondering how to afford daycare and work because your salary cannot cover the full cost of daycare, consider rearranging your work schedule. If you and your partner don’t overlap too much, there’s a longer period of time each day during which at least one parent is at home. As a result, you don’t have to pay for as many hours of child care. You can also consider bartering services, like rotating with other families in your area to watch over each other’s kids. If you are struggling financially, look into programs by the government, local churches, or other organizations that can help offset the burden. The cost of daycare can be a hefty expense for parents. Consider daycare alternatives to see if you can find childcare that is more affordable. Also, check out our list of tips to help reduce your childcare expenses. 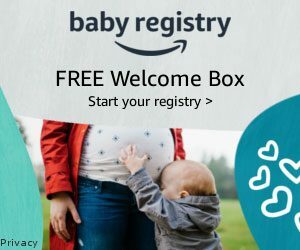 Baby Registry List: Which Registry is Best?